I would like to prepare this book for your 67th birth day ceremony. This book may not contain all your biography, but it is a small part of it. When I prepare this book your excellency may acknowledge it and I beg your majesty in the state of fear to present the book. Even though, your kindness and charity is well known all over the world, I have to transfer my knowledge of your good deeds for the coming generation. I was lucky to observe what was going on in your palace when I was learning in the compound of St. Mark church since 1916. During that time I had observed at near your kindness, charity and good deeds. This forced me to write this book in order to help the historians to give them a source. I have no intention to be considered as a history writer level. But my interest is to give concrete fact for the next generation in written form. 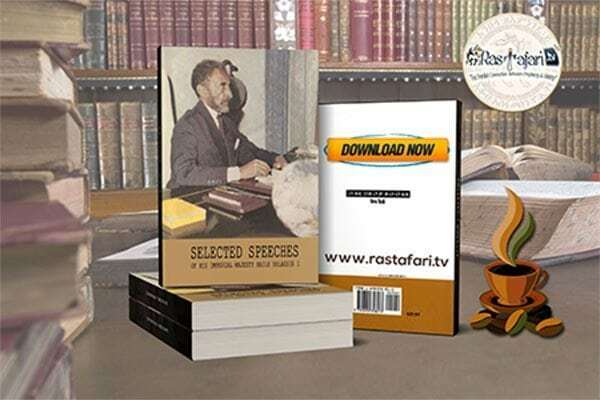 As His Imperial Majesty Haile Sellassie’s Regime helps writers to preserve historical facts, I, your servant would like to use this opportunity to put this book as a remembrance between generation. This small book may contain your good deeds and I am initiated after I had observed your charity and kindness. I am very grateful for the Almighty God for which I could accomplish this book. And then I wish long life for the famous His Imperial Majesty Haile Selassie I King of Kings of Ethiopia, princes, princesses and the whole family. This is not only my wish but also deep and keen interest of all Ethiopian to you. When we refer to ancient history documents since Adam we can observe that it is not only men struggled for the better, but also women contributed a lot on their part being on the side of men. Women shared problems and scarified themselves which make them sacred and give them special place in the history of mankind. Women participated in the battlefield with men and were more victorious than men. Some women are remembered famously because they made adventure. During peace women show their hospitality at home. History mention that they invite the army and have good social relations. More than in any country, women in Ethiopia as men fight in the battle field being courageous. In the war front women fight with their husbands. Some women were commanders of the army which made them famous and their name is noticed in the world. From these famous women Queen Taitu has got a great historical place. Empress Taitu fought in Adwa battle field as a soldier and as a commander of the army before 62 years. 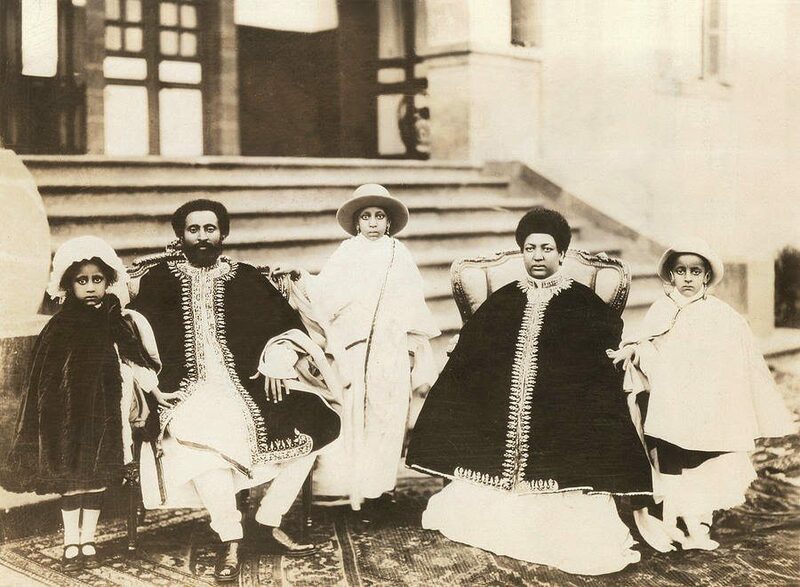 In 1924 memorial photography of his Majesty King of Kings Haile Selassie I, Empress Menen, princess Tanagne Work Haile Sellassie I, prince Merid Azmach Asfaw Wasenn, princess Wolete Israel Syeoum, Princess Zenebework Haile Sellassie, Princess Tsehaye Haile Sellassie, Prince Mekonnen the ‘Duke’ of Harar. Next to Queen Taitu our most chanceful Queen Empress Menen is the one who is the most beautiful naturally. Empress Menen is blessed and rich and Queen Menen is a kind human, and God fearing. She is always with the people who share the problems and find solutions. Queen Menen stretches her hand for the poor so that all Ethiopians like her very much. In 1928 when Majesty King of Kings went to the battle filled Empress Menen administered the people in the capital city. When the enemy’s airplanes came to bomb, Queen Menen encouraged the people and worked seriously. In the history of Ethiopia no one got a chance to have many children & grand children which helped to strengthen the dynasty except King of Kings Haile Selassie I and Empress Menen. Perhaps one or two children may belong to the former kings, but they cannot taste how sweet it is their grand children’s effort and success. Majesty King of Kings Haile Selassie and Empress Menen, because God blessed them, during 47 years of marriage years have got many children & grand children. The king and the Queen were tied with Holy communion. Their children and grand children were engaged in different jobs to give service for their country. This is special and absolute history for us which we cannot get any where. Empress Menen since she came to this world in 1883 for 67 years age accomplished human deeds and charity. This kindness categorized her into sacred women. Elders, Monks, and priests in the church are witnesses for their sacred deeds. The writer is also would like to explain her eternal work by writing her biography in the following chapters. “Princess Mrs (Woizero) now Empress Menen was born in March 25, (Maggabit 25 = April 3rd) 1883 in Wollo province Ambassel Region at ‘Egua’ area from her father ‘Jantirar’ Asfaw and her Mother ‘Woizero’ Sehin Michael. She was baptized in St Delba George Church. Her Christian name was ‘Wolete Giorgis’. Her name ‘Menen’ is given for the most beautiful respected ladies. “Princess ‘Woizero’ now Empress Menen was grown well be her parents, then she has got instructor at home like the former Lords’ and Dukes’ sons and daughters. Empress Menen know her native language, Amharic the reading and writing skill. Her Amharic teachers were Maduna and Father Workineh. Beyond academic education she has learnt home economics & spinning as Ethiopian tradition. Since she has the best knowledge of house hold management people called her the head of women. Empress Menen is charming lady and no one can compete with her. In 1892 she married legally and born 2 daughters and 2 sons. These are “Woizero’ Belaynesh, “Jantiror Asfaw, “Jantirar’ Gebre Egziabher and “Woizero’ Desta. 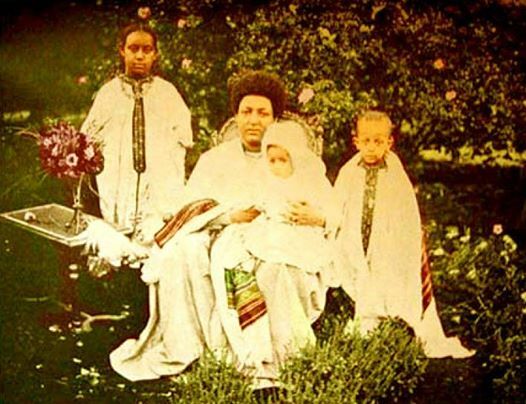 In Nov. 5 1903 she started journey from Dessie and reached Nov. 25, 1903 in Addis Ababa. In the same year in June the then “Dejazmach Teferi” now Majesty Emperor Haile Sellassie I King of Kings of Ethiopia married her. “lij’ Eyasu was responsible and made them a couple. The Wedding Ceremony was accomplished in the following condition. His Majesty King of Ethiopia Haile Selassie was the Governor of Harar. The bride princess ‘Woizero’ Menen was in Addis Ababa. The then Dejazmach Teferi Majesty King of Kings of Ethiopia, Haile Sellassie I sent to Addis Ababa his loyal servant the then Gijazmach now prince ‘Ras’ Emiru Haile Sellasse, “Lij’ Beshah Wured. “Kegnazmach Gobaw leading other invited follows with them were sent travelled from Addis Ababa riding horses and mules and reached in July 23, 1903 in Harar. When they arrived there, Dejazmach Teferi waited them at the place called Hammaressa near to Harar Kejazmach Teferi was accompanied by his loyal servants and lords to receive her with respect. In addition to this the Harar army was awaiting to receive the princess around Awash. The people of Harar wished for the couple to be like the sacred marriage of Abraham and Sarah. 22 Jan. 1905 the first daughter princess was born. This princess was baptized at Kombolcha Mariam and her Christian name is Fikirte Mariam. She was named by her grand father’s mother’s name Tenagne Work and called Tenagne Work Haile Sellassie. Princess Tanagne Work have go many children and become grand mother. In July 8, 1908 the second son “Duke” was born. This Duke was named by his father Majesty Haile Sellassie and called Asfa Wosen. He was baptized at Adere Tiko Trinity Church and his Christian name was give Amha Sellassie. Princess Menen delivered Prince Asfa Wosen in Harar city. By the time Dejazmach Teferi was in Addis Ababa. She hug the small baby and travelled to Addis Ababa. When she started her Journey they reached at Qersa. The next day princess Menen travelled from Qersa to Dire Dawa. From Dire Dawa they travelled by train to Awash and they reached at Akaki on Sept 1. Princess Menen reached in Addis Ababa using the ‘Faltu’ train on Sept 2. They use ‘Faltu’ train because the modern train was introduced in the country. Prince Asfa Wosen have got many children and grand chldren. In July 18, 1909 the third princess was born. The princess Christian name is given as Hirute Sellassie. And her name is called princess Zenebework. The princess died in March 15 1925 having no children. In Sept. 17, 1909 prince Eyashu was impeached by vote and dejazmach Teferi promoted to the rank of Ras and became crown prince of Ethiopia. He has got full authority to govern Ethiopia on behalf of the people and Empress Menen has got a rank of princess. In Oct. 17, 1909 “Lij’ Eyasu was over thrown from his authority of ruling the country. Even though their grand father father king Michale made civil war since he was at the side of his son Lij Eyasu Michael. Princess Menen kept her promise with her husband crown prince Ras Teferi Mekonnen and showed her loyalty helping him up to the end. In Feb. 4, 1909 Empress Zewditu took over her father’s position. 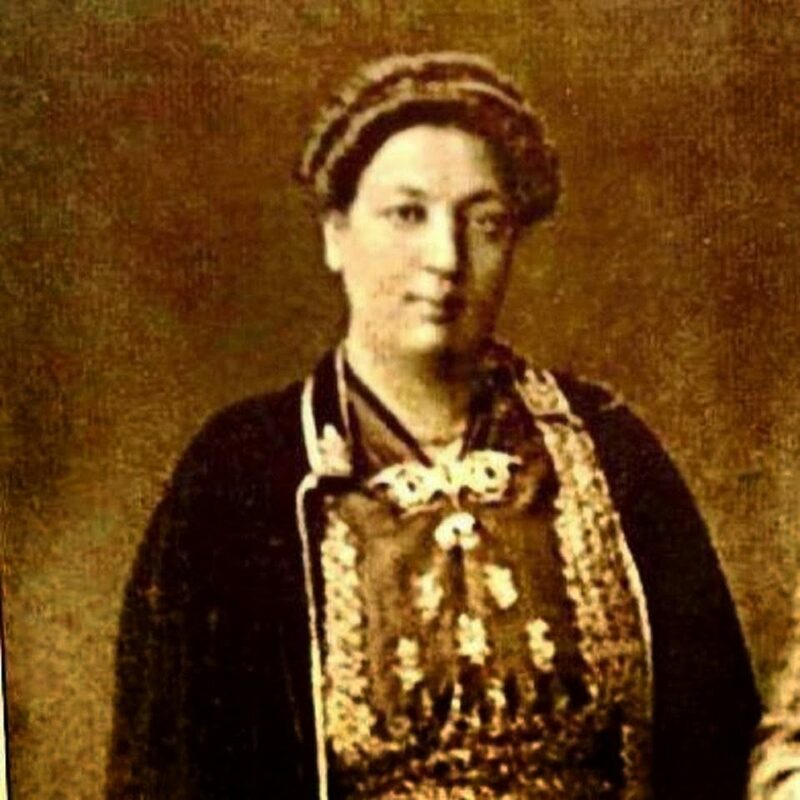 Her father was Emperor Menelik II. During that time the crown Prince “Ras’ Teferi Mekonnen had got gold crown and princess “Woizero’ Menen became Empress also got the rank of princess and gold crown. In Oct.2, 1912 4th princess was born. The Christian name of this princess was Wolete Birhan and her name is called princess Tsehay. Princess Tsehay was kind and willing to help the poor. She died in August 12, 1934 without having any children. There was incomplete church by Empress Taitu in 1910 which is found in east Addis Ababa around Entoto Tigat. Empress Taitu told to Empress Menen to complete it. 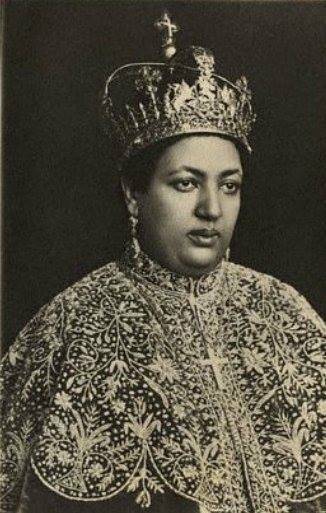 Keeping her promise Empress Menen invested a lot of money and constructed the church. Empress Taitu gave this project to Empress Menen because she knew spiritually that princess Woizero Menen will be Empress in the future. In March 16 1915 the “Kidane Mihret” church started its ceremony. The church became monastery and called “Hamere Noh’. Empress Menen gave her estate to the monastery helped those who give service to the church. This monastery is still a shelter for many Christians. There is holy water near to the church which people immersed and drink it. People from every corner of Ethiopia give thanks to Empress Menen for this Holy water. In March 1915 empress Menen travelled to Jerusalem to visit where Jesus Christ was born. Jesus Christ preached Christianity and sacrificed himself for the sake of our sin. Empress Menen went to Jerusalem by train and ship via Djibouti reached in Jerusalem. After she visited every part of Jerusalem, she went to Egypt to visit holy places. She gave a lot of money to monasteries and came back to her places. In October 5, 1916 Empress Menen delivered the fifth prince. The prince took the name of his grandfather Mekonnen while his Christian name was Araya Yohannes. Orice Mekonnen the Duke of Harar, passed away in May 4, 1949 after he had five sons. In May 30, 1916 His Imperial Majesty Haile Sellassie was visiting Europe in order to communicate Ethiopia with different states. In May 20, 1908 Majesty Haile Sellassie was saved from the accident of Harmay sea and Empress Menen was praying wishing that prince crown to come back home safely. Empress Menen gave her daughter Princess Tenangne Work Haile Sellassie to be married with His Excellency “Ras” Desta Damtew on Nov 7 1917. In May 28 1919 Empress Menen donated a big amount of money for the poor’s children and freed slaves to construct schools. In Oct. 3 1920 her mother “Woizero Sihin passed away in Addis Ababa at the age of 56 years. The funeral ceremony was at Debre Selam Medhane Alem Church. In June, 1920, Empress Menen visited Teferi Mekonnen school and donated money after observing different kinds of handicraft products. In Sept. 27 1921 His Imperial Majesty Haile Selassie I promoted as Ethiopia King of Kings Prince crown with full authority celebrated crown ceremony. On this occasion Empress Menen showed her ability in inviting the invited guests throughout 8 days feasting. The feasting had historical chapter which cannot be forgotten. In Nov. 18 1921 Empress Menen went to Djibouti due to health problem and came back on December 9. On Feb. 5, 1921 she took King Mechale’s dead body from Holeta Genet Kidane Mihret Church to St Michale Church at Tenta. By the time she accompanied up to Desie and came back to Addis Ababa. 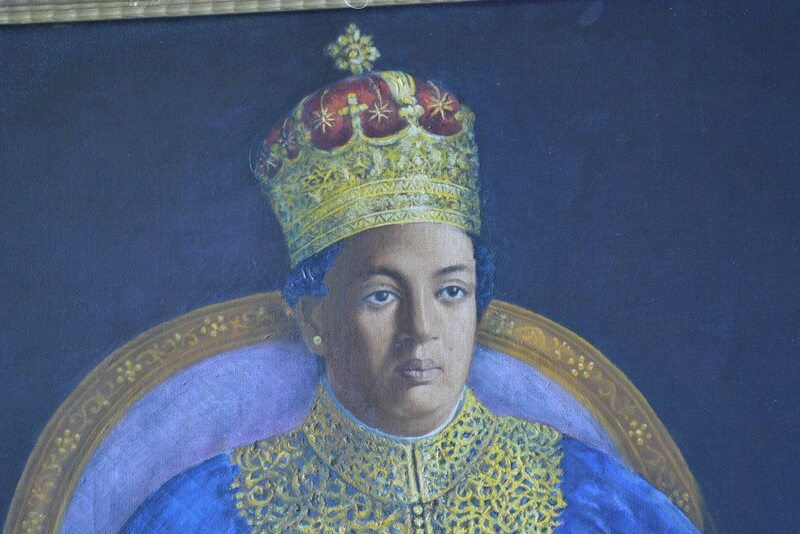 In March 24, 1922 Majesty Empress Zewditu passed away. His Imperial Majesty Haile Sellassie I took over the crown of his grand father King Menelik II. As a result of this empress Menen has got also the same chance as her husband promoted. In Sep. 24. 1923 empress Menen founded a new school for girls near to Genete Loul Palace. This makes women to be participated in the sphere of knowledge and technology equally with men. In this school a great number of ladies has got a chance to learn. Many students got scholarship to foreign countries, this school fulfilled its objective. In Oct. 23, 1923 (November 2nd 1930!!!!!) His Imperial Majesty Haile Sellassie I King of Kings of Ethiopia coronated at Menagesha St George Church, he allowed Princess Menen to be Empress and crowned. The invited guests from different countries had got prize of silver medal which had the picture of King of Kings of Ethiopia Haile Sellassie I and Empress Menen. Dear invited foreign guests appreciated the beauty of Empress Menen. In Feb. 20, 1923 Empress Menen delivered the 6th prince. The prince took his Christian name of his grand father prince Sahile Aba Dina. He was baptized at ‘Mekane Sellassie’ Church in Addis Ababa. “In April 30, 1924 Ethiopian King of government crown prince Prince ‘Mered Azmach Asfawosen married legally with princess Wolete Israel. In Nov. 11, 1925 she constructed St. Hana Church at Furi on her estate. She gave a lot of acres of land to priests and deacons of the church. Empress Menen also gave urban land for the residents. In Sept. 6, 1926 Empress Menen went to sacred land Jerusalem for the 2nd time. After she visited different Churches and monasteries constructed St. Trinity church for Ethiopians on her account. She donated a lot of money for the monastery & clergymen and inaugurated the church. In Oct. 2, 1926 she completed her visit of Jerusalem and came back to Addis Ababa. 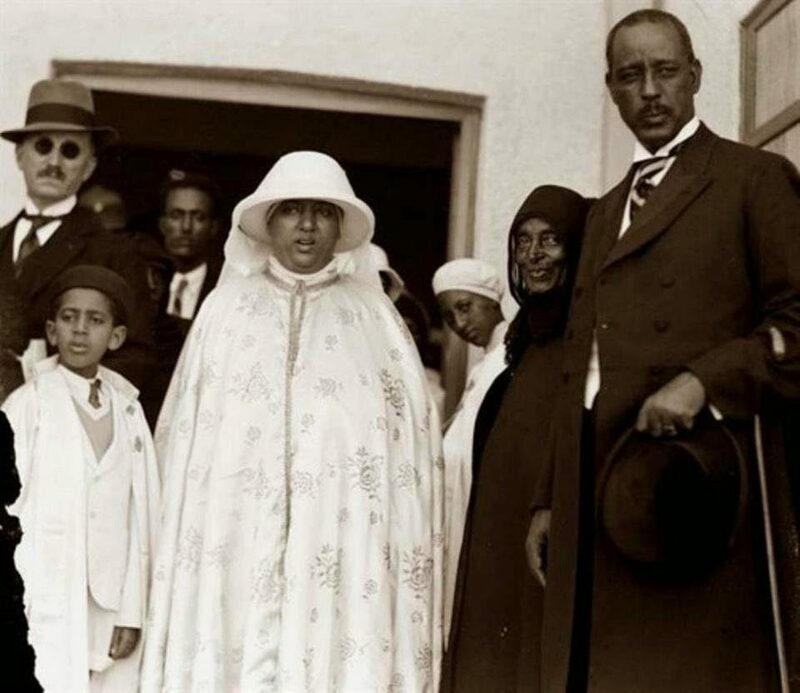 In May 19, 1926 Empress Menen went to Harar to visit & inaugurate prince’s Mekonnen the Duke of Harar of his being the head prince of Harar. In 1928 Fascist Italy was prepared to invade Ethiopia. Empress Menen gathered Ethiopian ladies preparing logistic support, first aid materials and sent to the battle field. She had done her best up to the end. Empress Menen disclosed the aggression to World women Association and appealed to all world nation states. Sept. 13, 1928. “I am pleased to present my speech to all world women. When Italy conquered our people and country the world women Association supported us to settle peace and freedom. We are very happy to express our deep feeling for the association. When I am speaking now in order to be understood to all countries my daughter princess Tsehaye translated my speech into English language. Princess Tsehaye made speech as follows. During this time Italy conquered us difficulty unjustly and world women should hear their voice. Even though world women are living in different countries with different climate, all women are interrelated with the same will and objectives. War is distress and trouble of mankind, all world women are in different countries, different race, religion the act of violence and war victimized their husbands, brothers and children. War is a destruction of the family and can make people immigrant. So women are against war. We know that all Italian mothers and barren women may worry about the war, since war is good for nothing. Therefore, all women found in the world should prevent the war before it brings trouble and distress. They should collaborate their voice and request to avoid the war before the bloodshed comes on both sides. Ethiopia do not think to act the violence conflict, here wish is to maintain peace. Ethiopia tried to settle the conflict peacefully in early months. In every aspect Ethiopia has done here best. So we are mentally free. Ethiopian people welcomed any foreigners, guests who came to work peacefully and innocently, Ethiopian people good hospitality to foreigners has been narrated in the history of the world. However, one state is which is neighbor to Ethiopia is trying to control and govern. Ethiopia is always on the line of peace, while the rival state is looking only its own interest. The enemy deployed its army and based around our country to kill our women’s husbands, children, brothers. Our people live working peacefully being God fearing but the enemy is trying to devastate the wealth of the country and destroy our family in the name of modernization. We pray to God not to face such kind of distress and destruction if the so called modernization brings a big trouble. Hence, the association which is established for the purpose of peace by world women may exert influence to bring peace and stability. We don’t hesitate that world women Association may contribute a lot to settle this conflict peacefully. We pray to god that the Association to accomplish its mission. We hope the act of the Association may bring fruitful result to preserve peace and security in our country. Nonetheless, if the war is started, we women should treat wounded soldiers and minimize the trouble of the war. Women who are living all over the world who stand for peace may help us during the war time. We know that these women assist the sacrificed patriot’s family. In Nov. 18 1928 His Imperial Majesty King of Kings Haile Sellassie I went to the north battle field Empress Menen stayed in Addis Ababa and prepared logistics and sent to the battle field. When the enemy’s plane bombed civilians she advised the people to take care. During planes bombed she traveled by car in the city to advice and encourage the people with courage. In addition to this she has been praying waged spiritual war against the enemy. In April 28, 1928 the Maichew battle field was bombed and devastated by Italian army, Majesty King of Kings came back to the capital city to give the guide instruction for the rest of the people. Then he went abroad in order to appeal to the League of Nations. 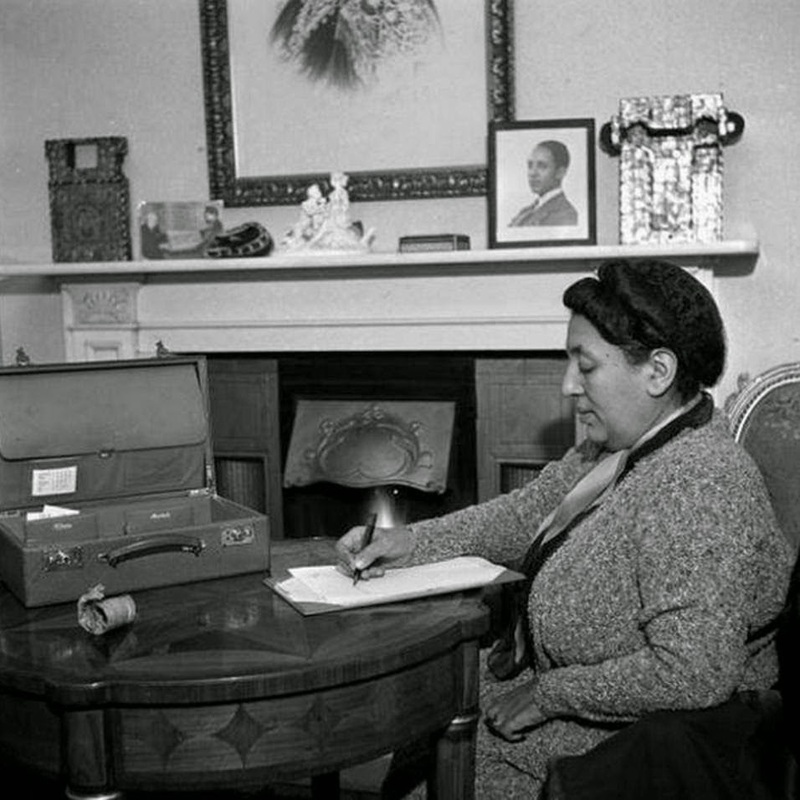 Empress Menen also went to Europe with him to assist through advice and constructive idea. From 1928 -1933 (1936 – 1941) they stayed in England in exile. During those trouble years they were praying day and night. They were felt deep sorrow for the people since the enemy conquered Ethiopia. Empress Menen stayed with king of kings Majesty Haile Sellassie as an advisor. In 1933 (1941) she has seen the rise of Ethiopia. In Feb. 12, 1929 the Fascist Italian army led by Graziani’ killed children old women and men. When she heard this news she was felt deep sorrow for the massacred people. she sobbed and pray to God for this inhuman act. In April 27, 1933 (May 5th 1941) His Imperial Majesty King of Kings Haile Sellassie I when he reached the capital city with victory she transferred the following telegram message to His Imperial Majesty. After the invader army evacuated from Addis Ababa in Aug. 23, 1933 Empress Menen returned back hoe by extra ordinary aeroplane with here beloved daughter princess Tsehay. This time Majesty King of Kings received them at the airport. The residents of Addis Ababa also received them with deep happiness. In 1934 Empress Menen went to Wollo province and made speech through princess Tsehay the following advice. “First of all I would like to thank the Almighty Lord for which our flag is replaced. Our patriots came back with a victory staying in the bush for 5 years. Secondly, any human being may have a great pleasure when he or she join with his/her birth place. With grace of God I was eager to see my native place Wollo. I am very happy as I am with you after 31 years. “Next I am very grateful for the people who received me with great pleasure. “All of you know that this naturally gifted country which is green and different from any African countries has never been under colony and has been ruled only by its own kings. “After many trials Italy made propaganda warfare since she can’t controlled before. Through this campaign tried to dismiss our unity and divide our people. “Is there anybody who did not miss his relative during the war? Some of our citizens were killed by hoes, spade and machine guns. “God made it possible that Ethiopia won its enemy quickly. We, the citizens children feel proud when we see our country freed from any aggression and we are very thankful to Almighty God. “Ethiopian people have got a good lesson from the past experience which enable us to cooperate as one mother’s children love each other. This made every Ethiopian to struggle for the country’s independence and freedom. “You have seen that people without freedom is victim as this was seen during 5 years aggression. Indeed our people did not hate native rulers as far as they keep the language, custom and tradition of the people. But Italians tried to rule in a subtle way. During the aggression even though the enemy killed our people, patriots went to the bush and some went abroad in exile. This situation surprised the world. “My native ladies and gentle men of Wollo our country has been free since 3000 years back. However through the help of England and fierce struggle of its children, we freed our country, the flag and king for our common motherland Ethiopia. We have to be one and united. “The prince crown is selected and came up from you, our beloved son prince Meried Azmach Asfa Wosen is with you. Even though I was separated for 31 years [physically it is impossible to say that I was living alienated my self from you. I was with you spiritually. ” Our beloved son is your governor. I believe you may be very happy when I tell you this information. “You may service him loyally adn kindly on the other hand he may share your problem and help you. He may administer you through good Justice – Please, give him advice nad assist him any time. “Let Good keep our fertile country. Let God make it possible long live to our flag.” Here she completed her speech. At this time ladies & gentlemen of Wollo event children touched their heart with great happiness by her speech. In 1934 Empress Menen reconstructed Menen girls’ school and made it possible to restart the academic to the girls. In Nov. 15, 1934 Empress Menen went to Harar by train and stayed up to Dec. 5 to visit different parts of Harar. Then after her visit she came back to Addis Ababa, capital city of Ethiopia. In April 18, 1934 give her daughter princess Teshay Hailu Sellassie to Col. Abiy Abebe who is promoted now to Brigadier General in legal marriage. Princess Tsehay died August 12, 1934 without having any children. 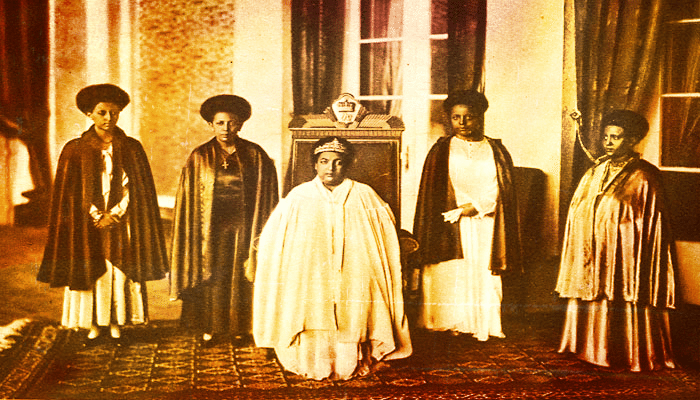 In May 26 1934 Empress Menen visited the Ethiopian Women Association. Again she visited Tensae Birhan schools which is established for the poor children and donated money to strengthen the school. In Nov. 11, 1935 Empress Menen after visited Ethiopian women Association and advised how the association is going to be strengthen. In July 1, 1935 she inaugurated the handicraft school which is established to work different products. In 1935 she gave her estate for the orphans whose fathers and mothers were killed by the enemy. She opened Siwaswe Birhan school. In this school even blinds are learning how to write and read. In Oct. 5, 1936 Empress Menen visited Empress Menen school and advised girls in order to study hard. In Nov. 14, 1936 her beloved children, princess Tenagenework Haile Sellassie and the young prince Sahle Sellassie came back from England. On this occasion there was invitation in the palace. In Jan 7, 1937 inaugurated the new Trinity Church. This same day there was a ceremony for the patriots and princess Tsehay’s dead body. In Feb. 15, 1937 she visited Empress Menen handicraft school in Feb. 3, 1938 princess Mekonnen the ‘Duke’ of Harar and princess Sara Gizaw got married legally on crown ceremony. Empress Menen school progressed and became fruitful. Due to the encrement of large number of students Empress Menen put the base stone to be built for a new building for 300 girls. 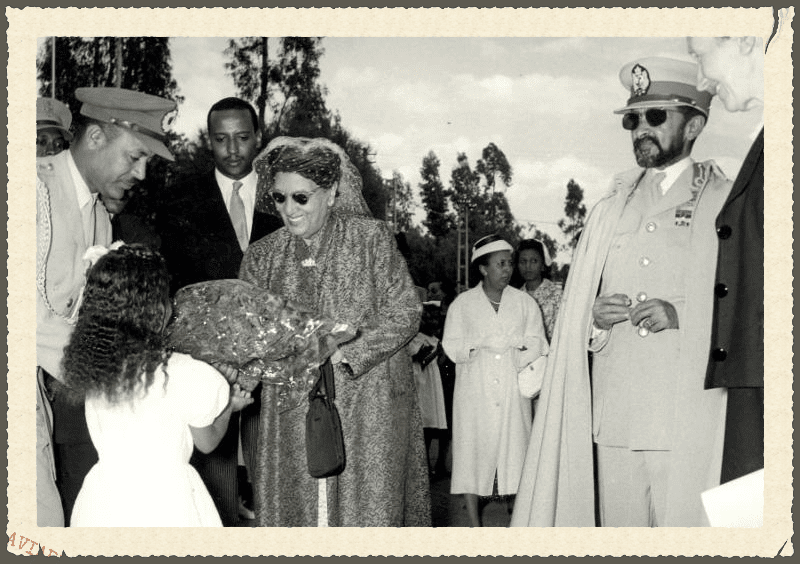 Empress Menen visited Harar province and near areas around it. She also observed different offices of Dire-Dawa. In Sept. 24, 1934 she visited Gondar for the first time with Majesty king of kings. They traveled by an extra ordinary plane. They stayed up to Oct. 7, 1938 visiting Lake ‘Tana’ Empress Menen received and talked to ladies of Gondar and donated her money to incourage women. In July 10, 1939 she sent her crown to Bethlehem church which Jesus Christ was born. In 1939 Empress Menen allow to be made Gete Semani St. Mary Church at Sebeta which is 23 kms from Addis Ababa. this modern building was started on her private account. In March 25, 1940 the St. Mary church at Sebeta completed and inaugurated by her. Empress Menen gave estate and residence area for priests and deacons of St. Mary church. May 21, 1940 she visited Empress Menen’s school to initiate student on their academic and handicraft products. In May 29, 1940 she visited Ambo twon and the surrounding area. In June 22, 1940 Empress Menen went to Harar for visit. She stayed for 12 days and came back July 5 to Addis Ababa. In Sept. 1, 1941 Majesty king of kings gave instruction to the people that Ethiopians should wear cultural dress so that the coming generation may follow this as an example. Empress Menen took initiative to wear cultural dress for the first time in new year. In 1941, on the Empress Zewditu avenue, Empress Menen gave her estate around ourael ara for the school which is named by her beloved daughter princess Zenebework. In Jan. 24, 1941 Empress Menen traveled by an extraordinary plane to Gondar for the second time. She visited ancient historical places and she donated garments and money for many churches in Gondar. In Dec. 15, 1941 Empress Menen visited the new St. Trinity Spiritual school as she is a model for spiritual deeds. In 1942 the 14 sacred books of the church were printed by Empress Menen. The number of books were 3800 which were sold and for ‘Sewaswe Berhan’ St. Paul school as a donation. The amount of the money was 19000 from the sales of the books. Moreover, she gave part of her mothers estate and many houses for the service of the school. 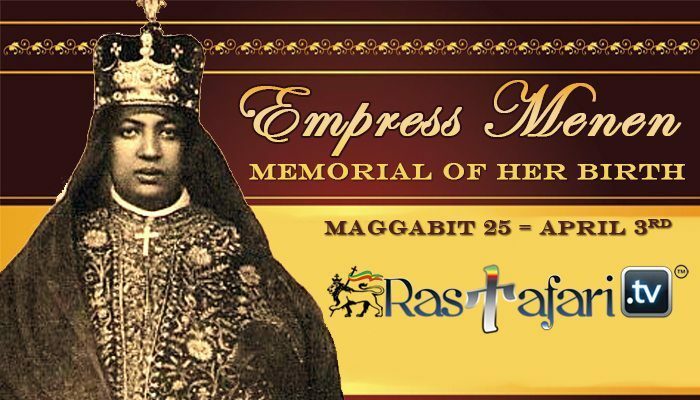 In April 22, 1942 Empress Menen invited was on the inauguration ceremony of Majesty Haile Sellassie I Bridge. This bridge was built across Abay River for the first time. In July 8, 1942 Empress Menen went to Yerergota district found in Harar province. She stayed there up to July 27 and returned back to Addis Ababa. During her stay she donated and talked to the people of the district. Empress Menen renewed Gishen church which found in Ambasel Region in Wollo province with here own account. In addition to this she allowed to construct the difficult road which enables for old believers to get access to the church. 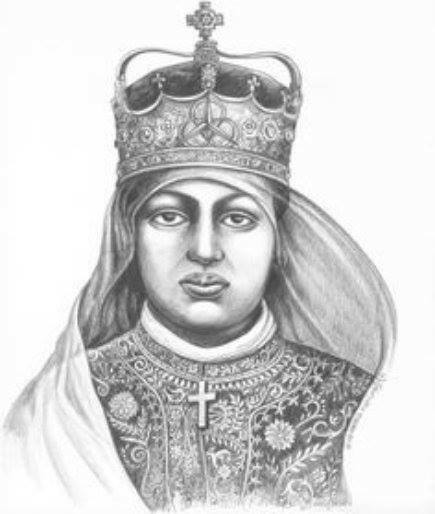 Empress Menen reconstructed Boru Trinity church which was devastated by Italian aggressors in Wollo province. She donated Birr 56500.00 from her private account and made the church in modern building in 1943. In January 8, 1943 she went to Debrezeit to visit Majesty H.Sellassie of Air Force school. She observed the war tactic demonstration at Harameda and evaluated the progress of the cadets of air force. In Feb. 20, 1943 she was invited guest in the inaugural ceremony of Addis Ababa University college when it was opened for the first time. In March 10, 1943 she inaugurated Gebremariam school, especially the kindergarten building which is named by princes Azeb Asfa-Wosen. In June 7, 1943 she visited Empress Menen school and observed the handicrafts output. Empress Menen encouraged and gave her motherly advice to the students. Empress Menen visited the school found in Nazareth in May 1, 1944. In June 17, 1944 again she visited different schools found in Nazareth. In June 26 1944 visited different schools found in Nazareth. In June 26, 1944 visited patients in princess Tsahay Memorial Hospital. In Sept. 24, 1945 she went to Asmara to visits Eritrea after it was converged with the other part of the country. On her visit the people of Asmara received her warmly. Empress Menen talked to ladies of Eritrea and donated and gave prize. She stayed up to Oct. 8 in Asmara then she went to Dessie. She returned back to Addis Ababa on Oct. 18. In Jan. 14, 1945 she went to Eritrea for the second time and solved different problems. In April 16, 1945 she is interested to expand the handicraft products, she visited Empress Menen’s school She encouraged the students to keep it up. In may 1, 1945 she put the base stone which is supposed to be constructed a new church around Fitawrari. Habte Giorgis area. The name of the church was St. Raguel building which was started by Empress Menen. In July 19, 1945 she went to Harar and Dirdawa to visit different official departments. Empress Menen resolved problems which come up from the people. Empress Menen went to Eritrea for the 3rd time. She received ladies of Eritrea in her palace. She assisted finance to ladies and came back Feb. 3, 1945 to Addis Ababa. 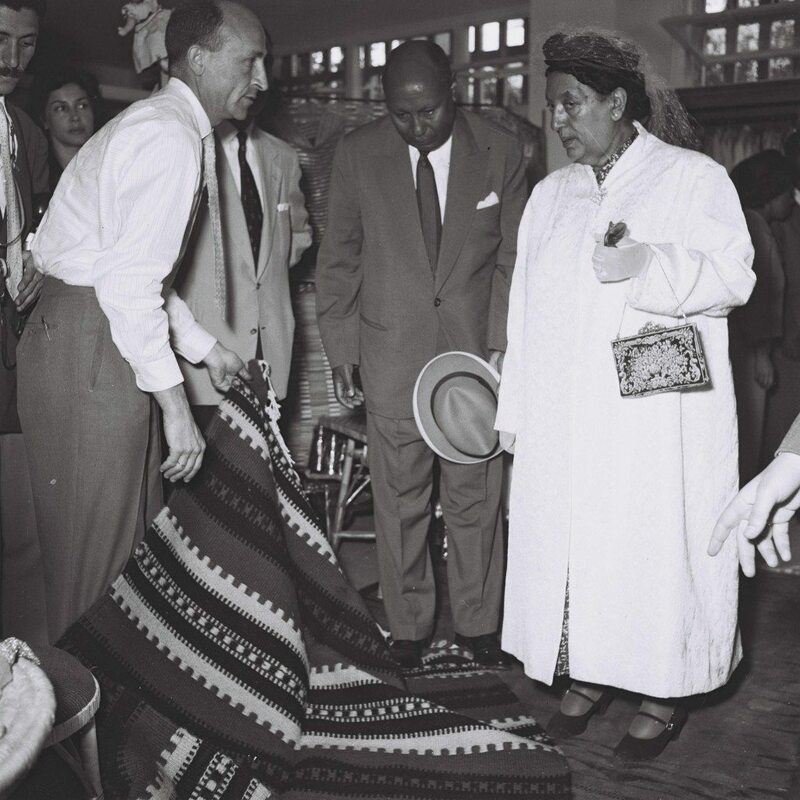 In March 16, 1946 she visited the department of handicraft which is established in Empress Menen School. Majesty King of Kings went to America in July 16, 1946. 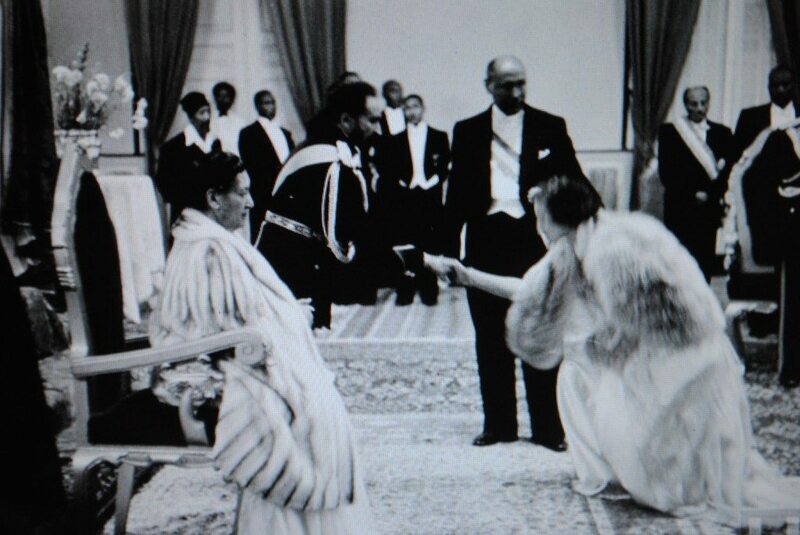 As he was invited by President Eisenhower, Empress Menen celebrated majesty’s birthday in Genete Leul Palace. In August 8, 1946 Empress Menen prayed continuously the first fasting of ‘Filseta’ in Addis Ababa and the second fasting in Harar. She donated finance to priests and stayed up to pagumen 4. In October 23, 1947 Majesty Haile Sellassie as he went to Europe for friendly visit she celebrated his coronation day nicely. In Feb. 23, 1947 she awarded certificates to successful graduate nurses in Empress Zewditu Hospital. His Imperial Majesty and Empress Menen awarded certificate for youth girls who passed the examination successfully. In Feb. 24, 1947 she visited Empress Menen school. March 23, 1947 Empress Menen visited Nazareth region and its surrounding area. In June 3, 1947 Empress Menen went to ambo and visited different schools and clinics which are found Hagere Hiwot. In July 7, 1947 Empress Menen awarded certificates for successful nurses. In Oct. 23, 1948 she went to Menagesha St. George church to celebrate the 25th coronation ceremony. Empress Menen thanked for the Almighty God there. In Dec. 15, 1948 she went to Massawa by an extraordinary airplane to visit Eritrea for fourth time. Then she visited some places found between Asmara and Massawa. Empress Menen presented Christmas gifts for the young ladies of Asmara. She came back to Addis on January 8, 1948. In January 5, 1948 she visited the nurse school in Asmara which is named by her own name. In this nursing school many Eritrean young ladies are continuing their education and give services in their profession. Empress Menen as she is generous, bought the land of the former German mission investing hundred thousands of Birr. This institution is found at the East of Debre Selam Medhane Alem church. Empress Menen gathered blind who are orphans around Addis Ababa hired Ethiopian and foreigner teachers. She also assigned guardians for orphan blinds to facilitate their learning teaching process. Moreover, in this school she constructed additional new building paying 200,000 Birr for 100 boarding students. The building was effective from Dec. 30, 1949. In April 18, 1949 she celebrated the 25th anniversary of Empress Menen school. On this celebration, there were a lot of people. The school shown progress and gave chance for many girls to be educated. On this occasion she extended her message through Teferra work to the gathered people. His Imperial Majesty King of Kings believed that there is nothing better for the development of Country’s progress and development except education. In this regard on his willingness he built many schools for boys. But if girls are left behind without having regular education, may have disadvantage. Therefore, I have opened his school for the merit of girls before 25 years since I believe girls should learn as boys. This school was discontinued by the invasion of enemy against Ethiopia while it was process its own on going objective. By the grace of God the school resumed its function after the victory. Many girls have got a chance to be promoted at the higher level of education after graduated in this school. Many of them are working in the government offices and in private organizations. If my country’s girls get chance to learn the standard education I hope they can contribute a lot which is expected from them as their brothers. There were not more than 50 students before 25 years when the school was opened. But today there are about 1300 students. This number is increasing because girls are aware of the advantage of education I am very happy to see to this progress. I thank the Almighty God for which I celebrate the 25th of Empress Menen school. I thank the director of this school and lady teachers for which they share the problem of the school and the progress of the school. In May 3, 1949 Empress Menen went to Sidamo by extraordinary plane and reached in Awasa for a visit. May 4, 1949 her beloved son prince Mekonnen the “Duke’ of Harar died in accident and she came back to Addis Ababa by plane. In May 5, 1949 on the funeral ceremony she felt deep sorrow. Empress Menen was mourned up to Pagumen 4, 1949 for the death of her beloved son. I have tried to write your generosity, kindness. This book may help the future writers as a basic information. this book may not be complete work of the Empress, but I have tried to mention only some part of it. I restricted my pen here since the future writers may do complete work on this regard. Even though, my capability is limited to from 1916 to 1928. April 28 then from 1933 up to now (1950) I have got chance to see on my naked eyes her kindness and human deeds. Therefore, I am responsible to transfer this good action for the coming generation and I am very much lucky to write this chronicle. Empress Menen noticed to His Imperial Majesty King of Kings to excuse for those who committed mistake and for those have done good deeds for their country to be promoted and assigned in the government offices. As she is God fearing Empress, she always prays to God. Every Friday She goes to Mehanealem Church of St. Mark Church for special praying since Friday is a day which Jesus Christ is crucified for the sin of all mankind. Empress Menen except her childhood she gave her life for good deeds she goes to St. Mark church everyday. She stays up to 9 A.M. praying to God and received monks and nuns came from different churches and monasteries. Empress Menen also give donation her own money for the reconstruction of churches. When she goes to palace from church, received the women who lost their husbands in the war front and fulfill whatever they demand. The Author Yared Gebre Michael when he present the book titled “YAFICATSEHAY’ (The Sun of Africa) to Emperor and empress on the occasion of the 64th of His Imperial Majesty King of Kings Haile Sellassie’s birth day. On this occasion he presented also a special newspaper which prepared by the office. Empress Menen build many churches and reconstructed like Gishen Mary, Tenta Michael Boru Trinity, Endelba St. George church etc. Empress Menen is not praying for herself only but also for the pillar of Ethiopia his Imperial Majesty Haile Sellassie, for her country Ethiopia, and for the development of the loyal of Ethiopia. Empress has never alienated from church’ ‘Wudasie Amlac, ‘Seife Selassie Arganon,’ St Mary parrying in gologta. she always reads those books. Empress Menen likes to give attention for interpreted books the church. This shows how she is far sighted and have bright brain. Empress Menen let the Orphans to learn who live in the area out of the capital city. Empress Menen shared problems of the poor and always visit patients in hospitals. Empress Menen believes man is mortal so that she always shares problems of the people and tries to solve. Ethiopian people rely on her. During the five years of Italian invasion many churches were devastated. Empress Menen has been in a deep sorrow because her beloved children were died. all Ethiopian people shared her grief and sympathized her. As she is strong spiritually, Almighty God gave her strength. She passed each problem patiently. Even though she lost her children she never neglect the country’s problem this is well known by Ethiopian people. Therefore, Ethiopian people love Empress Menen from the bottom of their heart and share the happiness and sadness of her. On the occasion of 67th of her birth day ceremony all Ethiopian people wish the best for Empress. The whole people expresses the deepest feeling and say happy birthday that His Imperial Majesty king of kings Haile Sellassie is also with you on the ceremony of your birthday. Ethiopian people wishes the best for your the coming year may elebrated with your princes and princesses children.